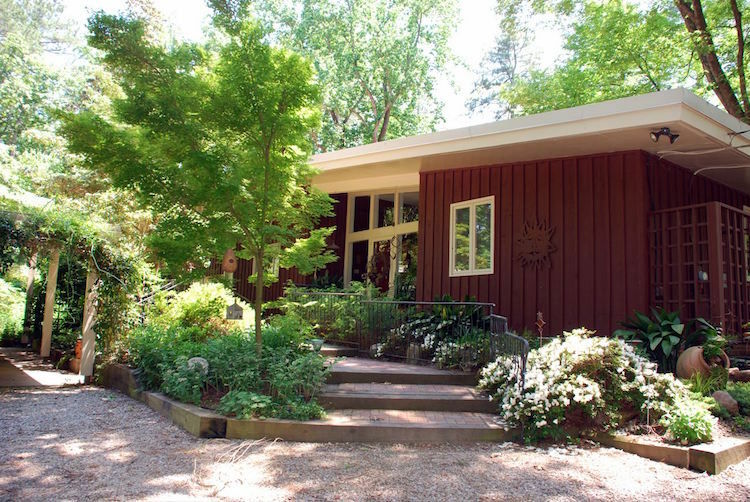 The Paul and Ellen Welles House was designed by Durham architect Kenneth McKoy, who graduated in 1950 as a member of the first graduating class of the School of Design, established at North Carolina State University under dean Henry Kamphoefner. 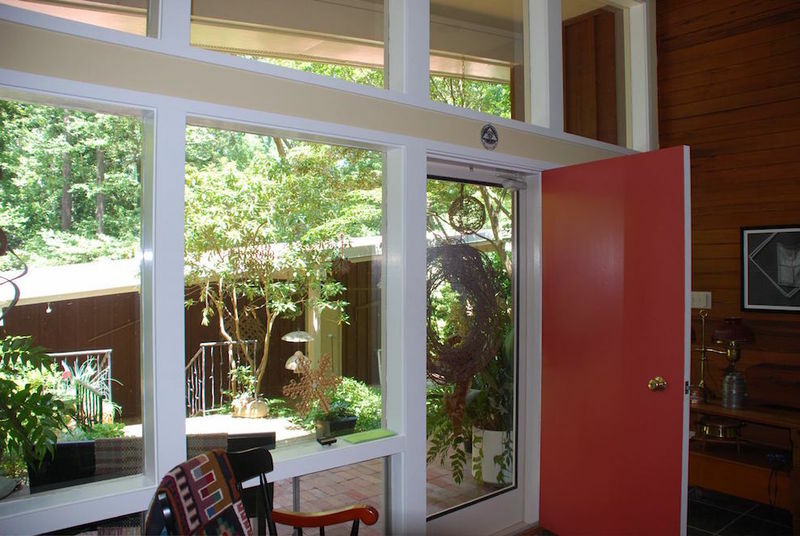 The house features an open floor plan with high ceilings and large expanses of glass. 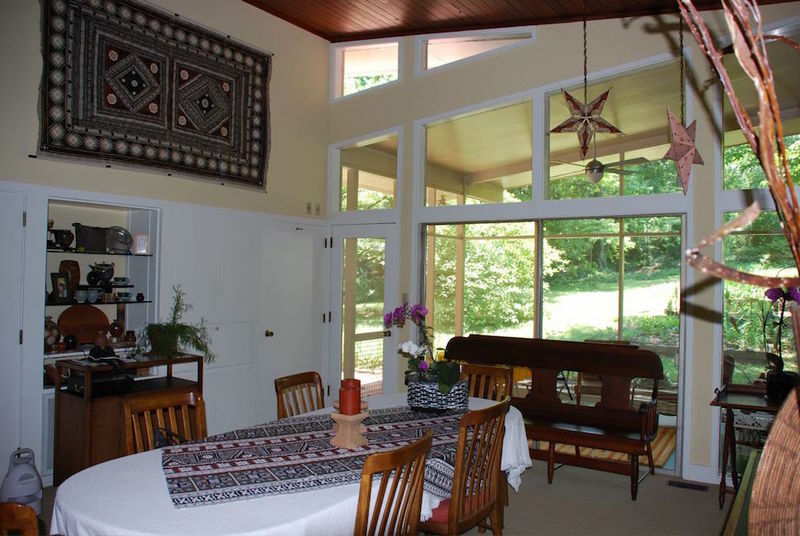 Summer camp operator and sailing enthusiast Paul Welles Jr. and his wife Ellen built the house in 1956 on land subdivided from the farm of Ellen's parents, George W. and Mary Mordecai. Private residence. 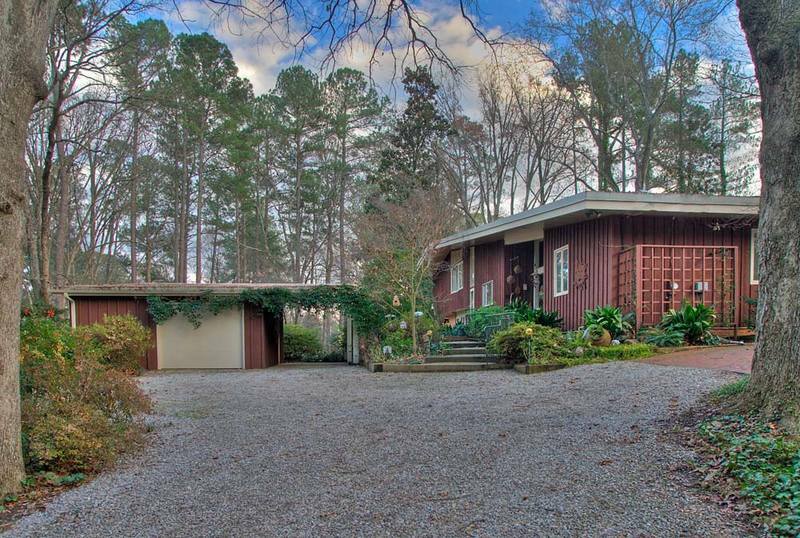 Paul and Ellen Welles House, 2009: Image courtesy of D. Strevel, Capital City Camera Club. 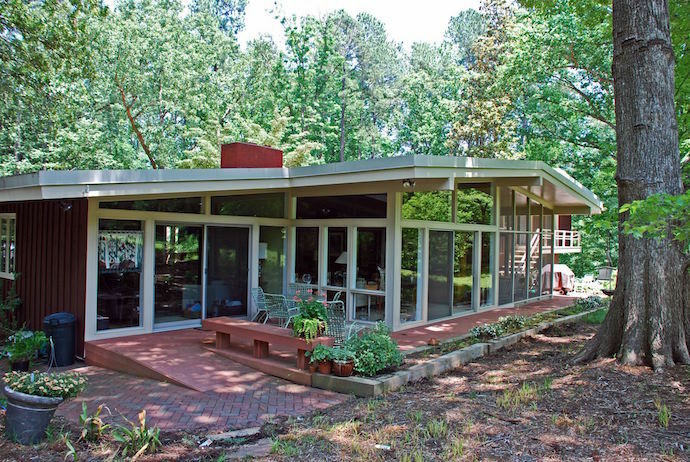 Paul and Ellen Welles House: Image courtesy of NC Modernist. 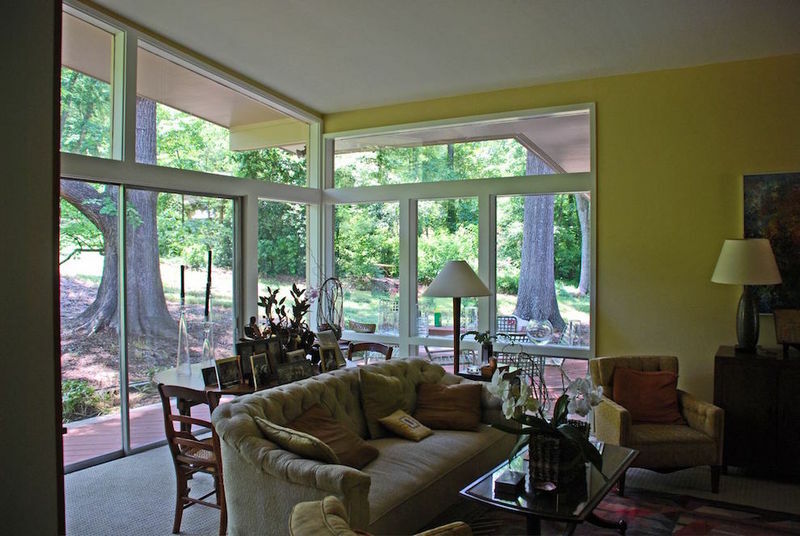 Paul and Ellen Welles House, interior: Image courtesy of NC Modernist. 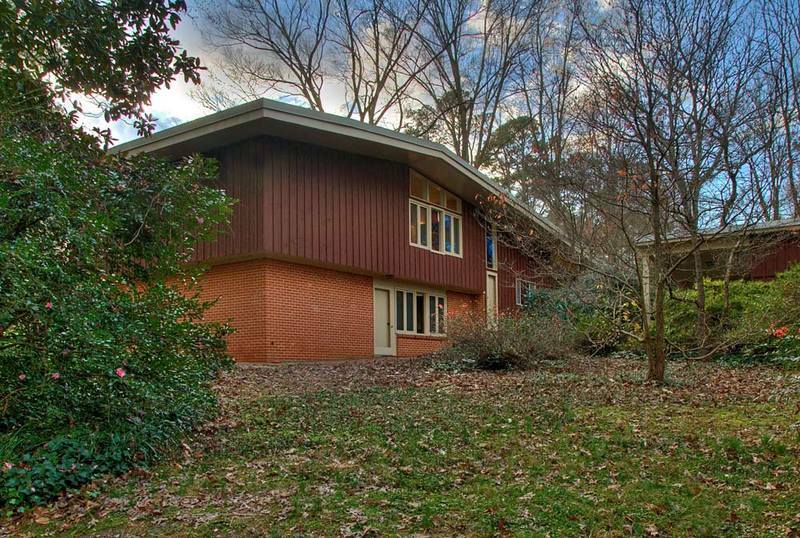 RHDC, “Paul and Ellen Welles House,” Raleigh Historic, accessed April 20, 2019, https://raleighhistoric.org/items/show/145.